Charles A. Kelley was born in Millbrook, New York on June 2, 1902. 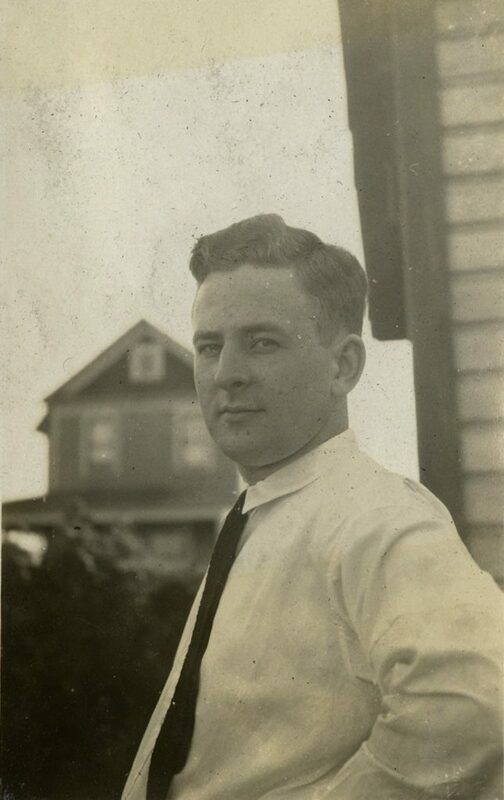 Prior to attending the University of Pennsylvania, Kelly worked for the New York State Police until being discharged in April 1921 at his request, and as a telegraph operator for Western Union. Between 1923 and 1924 he attended the University of Pennsylvania to study architecture. During his time at the University, Kelly was a member of the Acacia Fraternity, and editor in chief of the chapter’s newspaper – the Franklin News. Kelly left the University of Pennsylvania in 1924 without receiving a degree. In 1925 he began his career in design-drafting working for several architectural offices from New York to Washington, D.C. In 1938 he started to design prisons as an assistant architect with Prison Industries, Inc., eventually working for the Federal Bureau of Prisons. Three months after Kelly retired as senior architect for the Federal Bureau of Prisons he died in June 1961 in Petersburg Virginia. He was on his way to Ft. Pierce, Florida from Philadelphia when he died. 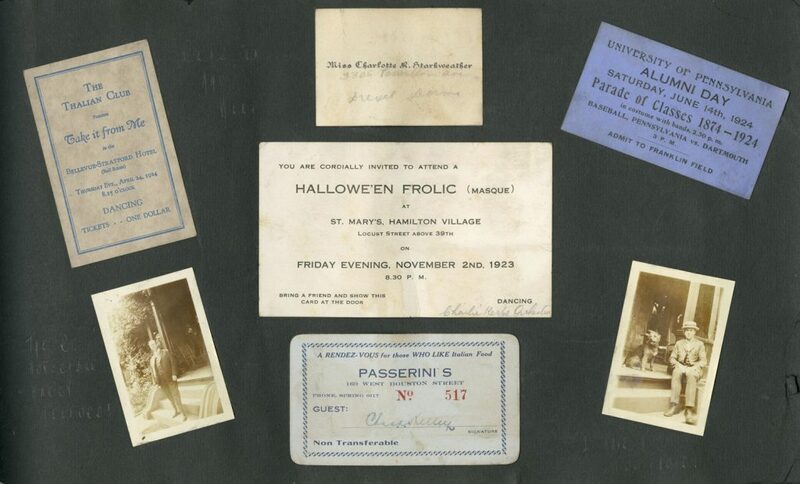 The scrapbook contains informal photographs taken by Kelley during his time at the University of Pennsylvania, as well as ticket stubs to campus sporting events, and theater productions, sports schedules, and newspaper clippings. The majority of the images are identified, though in most cases the writing has faded. Loose items found inside the scrapbook have been removed, but organized according to the pages the were found between. 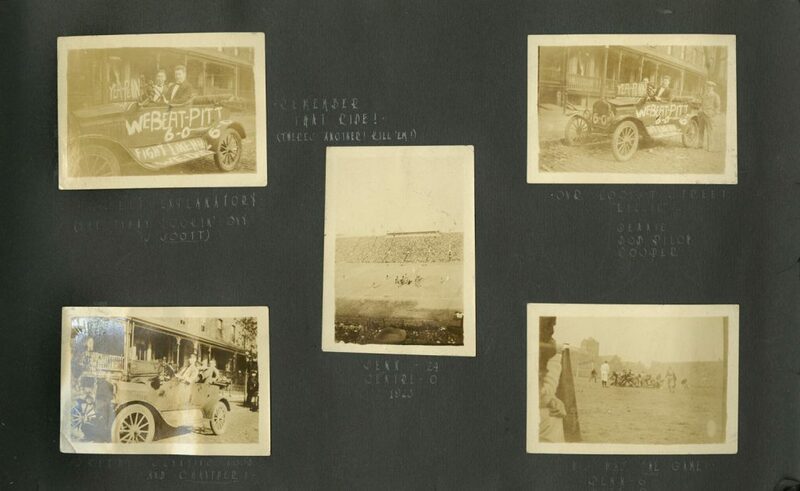 Pgs 3-4: Photograph of “The Old ‘Boarding House Gang” Was pasted in, but became loose. Pgs 13-14: Paper and ribbon St. Patrick’s Day hat band – with “Wilbur” written on it. Pgs. 19-20: “Annual Banquet of the Poughkeepsie Club of the University of Pennsylvania”, 1923; Photographs: group Christmas image (same as page 11), 3 men shoveling snow, group of men posed in front of porch after shoveling. Pgs. 33-34: Photograph – woman, n.d.